I was intrigued recently by an article in The Times of India about women in their mid-thirties who are earning new income through crochet thanks to lessons from an American designer / artist named Sheila Klein. 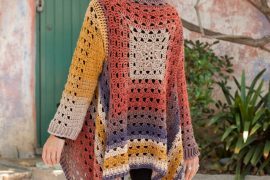 The article explains that the women who learned crochet under Klein are given work outsourced by other designers. They do the crochet work as a means to earn income for their families. For example, it tells the story of Nazma Saiyad who is mostly illiterate and was picking up odd jobs where she could but can now help support her family through this crochet work. 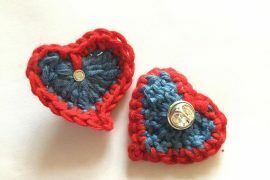 She said that she always wanted to learn to crochet but didn’t know if she’d ever get the chance and now she wants to improve upon her base of skills so that she can earn even better income doing crochet work. The women featured in the article do this crochet work at a heritage site / cultural center called Sarkhej Roza. This is “one of the most elegant and unique architectural complexes of Ahmedabad” and it is rich in historical significance. This a place where women of the community can come together to learn new skills and exchange knowledge and ideas. Klein was in the city doing a week-long art exhibit as well as studying at the National Institute of Design and she gave her time to teach about ten local women how to crochet. Together they worked to create a crochet art wall display that will serve as a permanent exhibit at Sarkhej Roza. 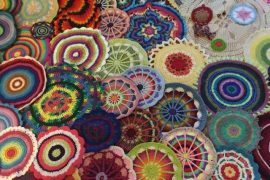 I had never heard of crochet artist / designer Sheila Klein before so I had to look her up. (Incidentally, the original news source spells her last name as Clein but I’m certain it’s Sheila Klein of this website.) 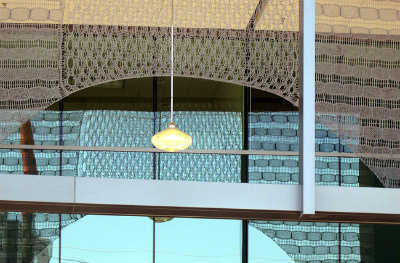 She creates large scale art pieces, often for public spaces, sometimes done in crochet. This is one artist I’m going to have to learn more about for a full feature article! I want that to happen here, so cool!!!!! I want to crochet for designers, awesome! @icrochetinoh It’s hard to find the work but I know that there are crochet designers here who hire contract crocheters. (For example, KRW Knitwear uses contract crocheters.) 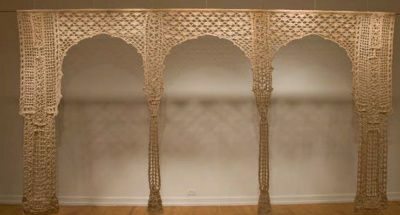 And there are also artists, like Mandy Greer, that have other people doing crochet work for them for big projects. @CrochetBlogger That is awesome, I should look into it more when my life isn’t so crazy. thanks for the info.